Welcome to Our Sunday Best Showcase, the link party I started co-hosting with Jo-Anna, Aimee, and Nicolette last week. I hope you’re enjoying your Sunday! Typically, it’s my “do whatever” day, which usually translates into whipping something up in the kitchen, cleaning out a closet or doing the laundry. I know, so exciting, but I find it therapeutic. This afternoon, we’re changing things up a bit and having some friends over for the big Superbowl game. No, I’m not a huge football fan, but my husband is. Given that it was his birthday on Friday and he was traveling for work (and we all know he went over and above for my birthday), I thought I’d kill two birds with one stone and host a little get-together (shhh.. let’s not tell him about the cake!). If the truth be told, it’s really just a good excuse to catch up with my girlfriends (while we try to block out our over-the-top husbands) and eat some de-lish food! Thank you to everyone who linked up last week! You may have noticed that I shared some of my favorites, and I’ll be doing the same each and every week. Be sure to connect with me so you don’t miss a thing! 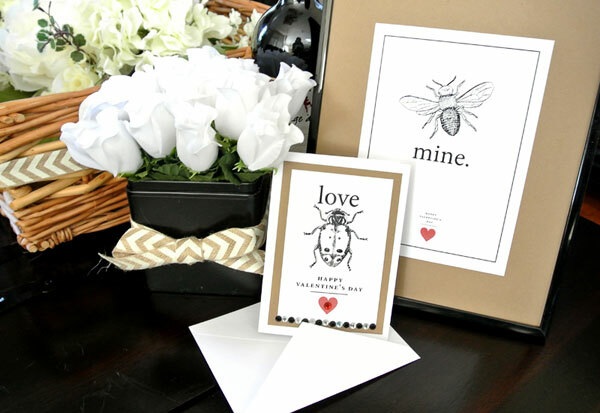 I’m loving this series of bug printables for Valentines Day by 3 Peppers Recipes! 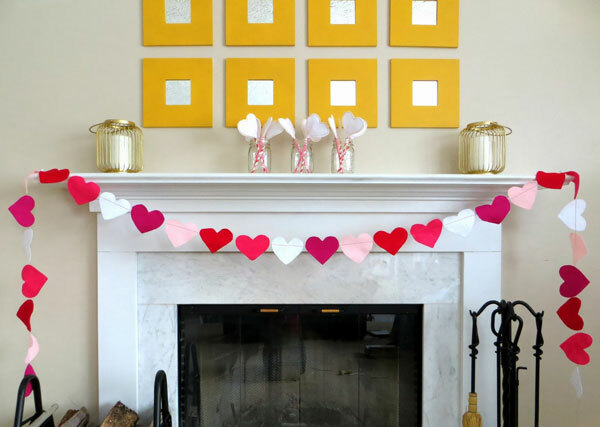 Simple & Sweet Valentine’s Day Mantel by The Happy Chateau! 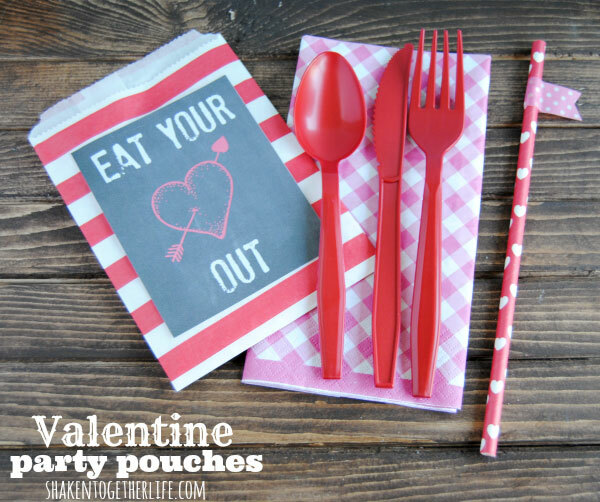 These Valentine party pouches and printables by Shaken Together are so fun! I love this Sweetheart Hoop Art by SugarBeans! 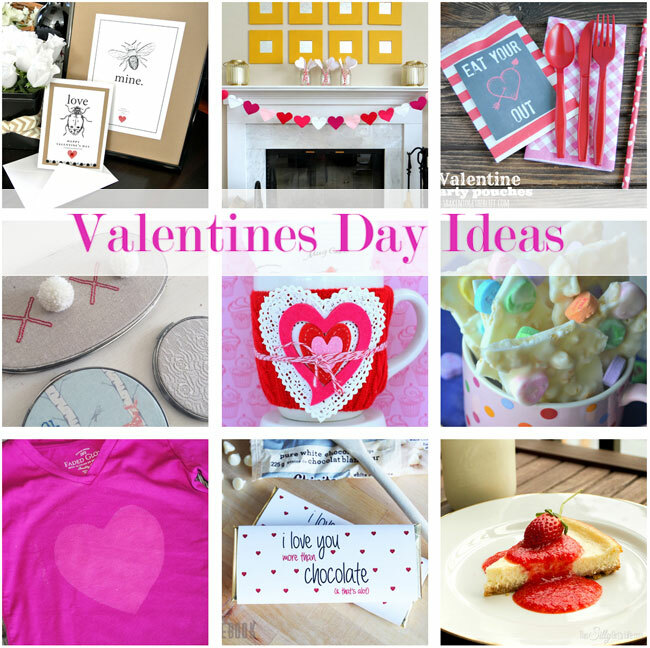 Great for Valentines Day gifts! 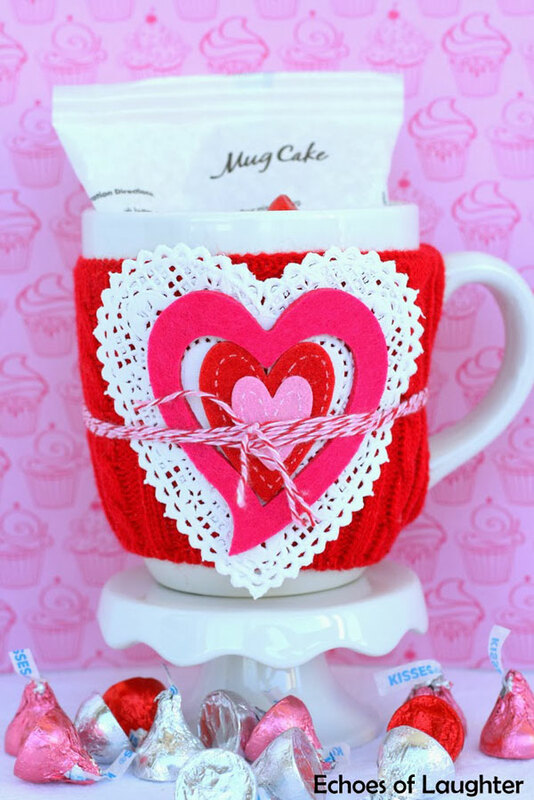 Put together a Valentine’s Mug Cake Gift. Echoes of Laughter shows us how! 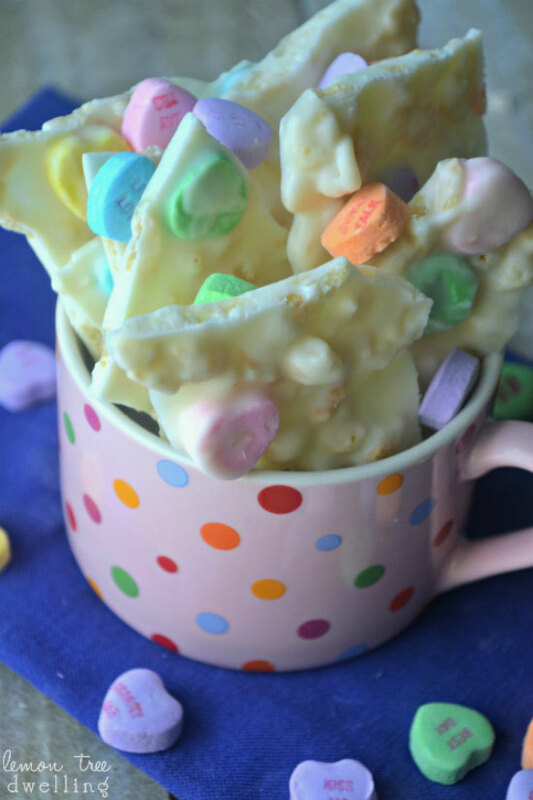 This Conversation Heart Krispie Bark by Lemon Tree Dwelling looks so good! 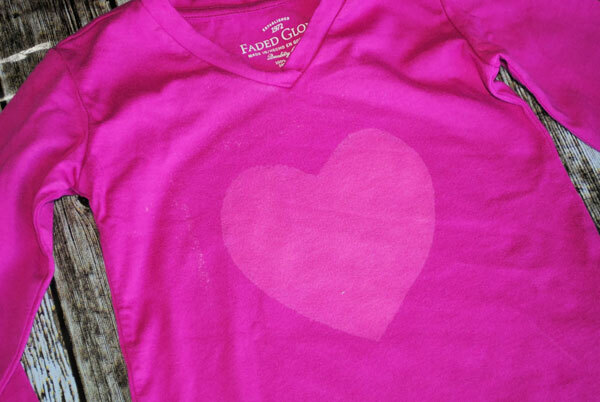 Gingerly Made shows us how to make these cute Valentine’s Day shirts with bleach! Love it! 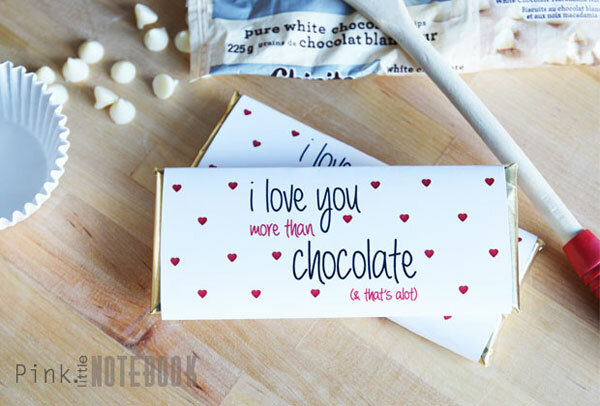 Dress up chocolate bars for Valentines Day with these ‘I love you more than chocolate’ printables from Pink Little Notebook. 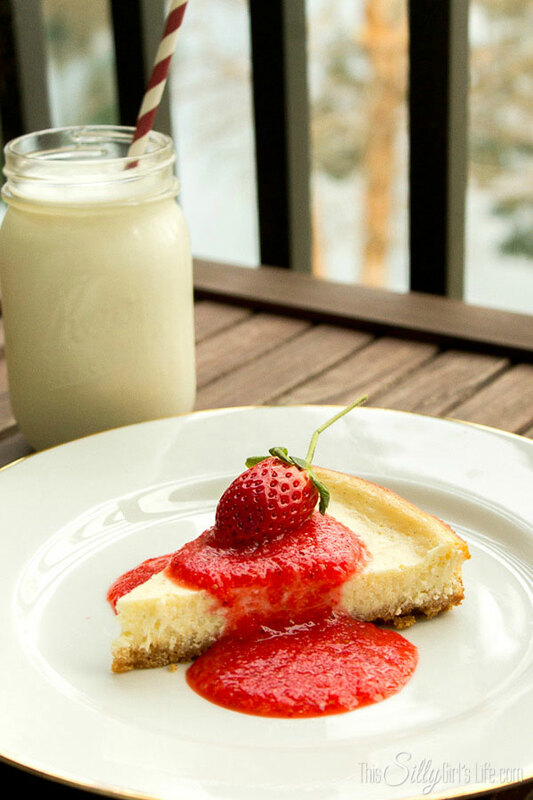 This Vanilla Bean Cheesecake with Strawberry sauce by This Silly Girl’s Life would make the perfect Valentines Day dessert! Great link up party Shauna! Thanks for the feature! 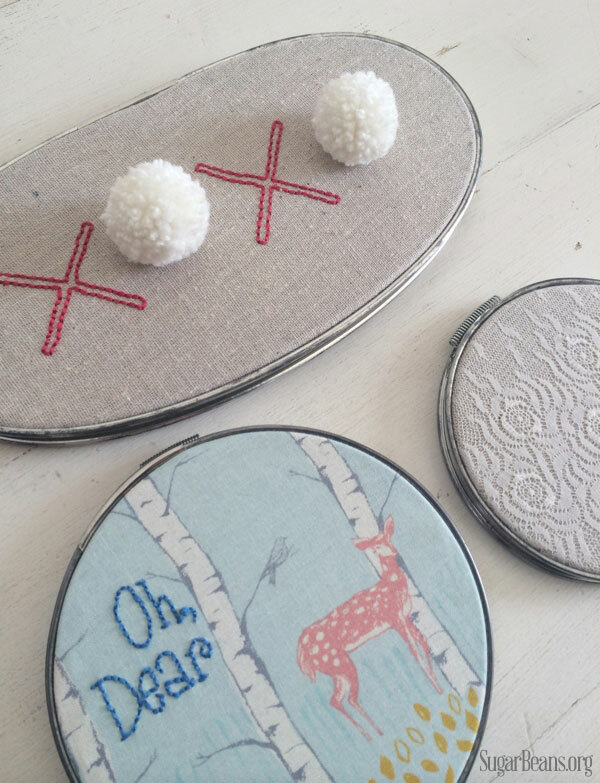 I love this linkup so many creative people!